CloudSuite Industrial: Will It Help You Get Control? Infor CloudSuite Industrial Enterprise Resource Planning (ERP) software is Infor’s leading solution for small- to medium-size manufacturers. If your manufacturing company has an annual revenue ranging from $10 million to $250 million, then CloudSuite Industrial may be a good fit for your business requirements. Thousands of customers use the Infor CloudSuite Industrial (formerly known as Syteline) worldwide. In fact, it is often independently ranked among the top three ERP solutions available for SMB manufacturing companies. Infor CloudSuite Industrial is a comprehensive solution with manufacturing-centric functional attributes. Areas of note include finite backward scheduling providing both “available to promise” and “capable to promise”. Inventory optimization tools including Forecasting and SytePlan are included for managing complex demand environments. A unique CloudSuite Industrial feature is the ability to cost parts in different manners. For example, you can use standard costing for one part and actual costing on another. The costing options are a true benefit for those who have mixed mode production requirements where some items are built to stock, some are built to forecast, and others are made to order. Other important modules that are part of CloudSuite Industrial are integrated CRM, Quality, and Field Service. Infor CloudSuite Industrial can easily expand its footprint with its Infor ION integration with other Infor best-in-class products. Infor CRM, Infor Product Lifecycle Management, and Infor Enterprise Asset Management are complimentary solutions that allow for Infor to provide a single-source integrated solution advantage not readily available with other ERP providers in the SMB market. The value of a single source solution is that you only deal with a single vendor that has a coordinated software development path. Third party products can be risky because of loss of product compatibility due to changes in the applications. Infor has a leading product configurator with its Infor Configure Price Quote which is also known as Infor CPQ. Infor CPQ is a robust tool used for parametric configurations as well as complex pricing environments. Additionally, Infor CPQ is a valuable tool for manufacturers that distribute through dealer networks. CPQ allows dealers to configure and price configurable products as well as having a portal for visibility, communication, and quote generation. Additional Infor CPQ information can be found here. 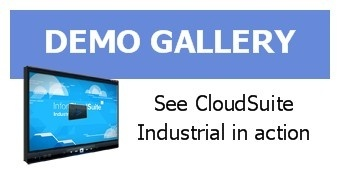 Infor CloudSuite Industrial also has a number of vertically focused functional packs including those for automotive manufacturers, process manufacturers, and printing companies. The packs are now part of CloudSuite Industrial 10. The flexibility afforded by these vertical packs is the reason Infor is so attractive to such a broad base of manufacturers. Infor CloudSuite Industrial leverages the Infor OS to provide for a comfortable and productive user experience. The Infor OS includes web based user configurable homes pages to provide for the ultimate user experience. Users can apply provided widgets and forms to have information you use readily before you on the screen. Users see and act on their tasks, alerts, and work flow approvals that are pushed to their homepage. Users see your chosen and specific indices with graphics that help you quickly make well informed decisions. Users communicate better with Infor Collaboration leveraging Infor’s social business tools to share and follow business objects such as quotes, approvals, projects, order, production, and all relevant activities of the enterprise. Infor Collaboration is also available via CloudSuite Industrial mobile app. Infor is committed to being a cloud-centric provider, like many other ERP providers that have the appropriate technology. But we are finding that many SMB ERP providers are only able to provide single-tenant hosting as a SaaS offering due to limitations in their development toolset, versus being able to offer the cost-effective multi-tenant option like Infor offers with its CloudSuite products. Of note, Infor leverages Amazon Web Services (AWS) with the SaaS option versus hosting in-house at Infor. Infor leadership states this is an advantage, as AWS is a premier provider and gives Infor customers the best possible security, performance, and uptime. An end user or customer may say, “Why should deployment method matter to me if it is single-tenant or multi-tenant?” (Single-tenant serves a single customer with one instance of the software and the related infrastructure; multi-tenancy is when several customers share a single environment.) Simply by virtue of someone having to maintain each customer’s patches, service packs, and upgrades instead of capitalizing on the efficiencies that naturally occur in a multi-tenant environment, the single-tenant option tends to cost significantly more. Ultimately, consumers need to do their due diligence to insure they are comparing cloud ERP options appropriately. Many will find that one company’s “cloud” is not the same as another. An ERP provider’s deployment flexibility should also be considered when evaluating ERP options. Infor allows you to choose the deployment method that is best for you—it can be used on-premise with a conventional server, deployed in a hosted environment, or licensed using the SaaS model. Infor CloudSuite Industrial is a complete, powerful ERP system for SMB manufacturers. As your business grows, you can extend the application natively with the development toolset, or by integrating with other Infor complementary products. CloudSuite Industrial is a safe choice as Infor considers it a lead product, and has allocated a wealth of resources to assist with its continuous development. You can feel comfortable using CloudSuite either on-premise or in the cloud. At Visual South, our mantra is this: We want to help customers get the most benefit from their ERP system and provide clarity for those navigating the software evaluation process. If you have questions, get in touch—our team is always willing to offer guidance and free consultation about your options for manufacturing software. Tim has over 20 years of successful experience helping companies improve their processes and operations using enterprise software solutions. Those enterprise solutions include Enterprise Resource Planning for manufacturers, Service Management for service oriented companies, and Enterprise Asset Management in the process manufacturing industry. 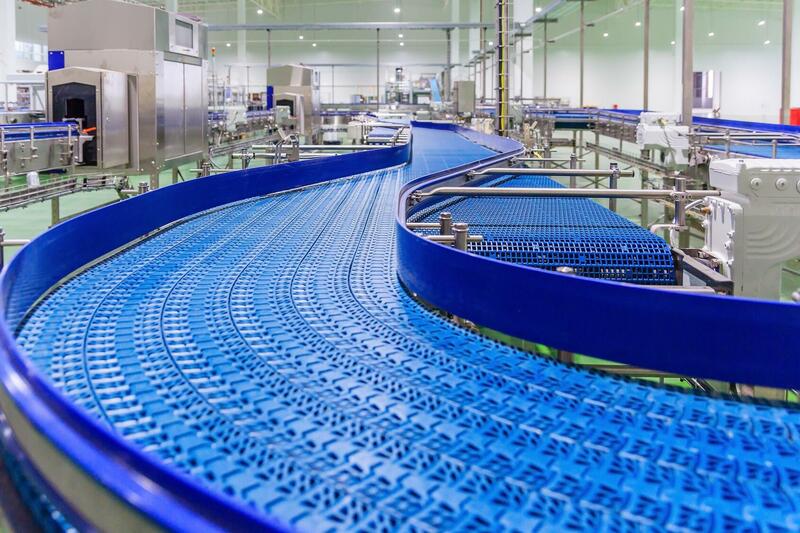 Is Big Data in Manufacturing a New Buzzword or a New Tool?